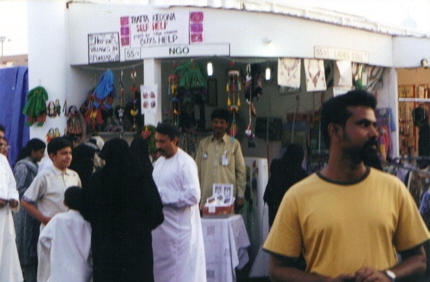 A possibility for the participation of a pakistani NGO at the Global Village of the Dubai Shopping Festival for exhibiting and offering its outstanding handicrafts products emerged in 2000 on the invitation of the consulate general of Pakistan in Dubai. 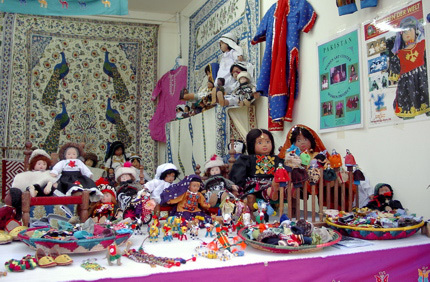 The first participation in the fair followed in 2001 and was quite successful right from the start, -reports of the local media also confirmed the success of advertising and media attention. 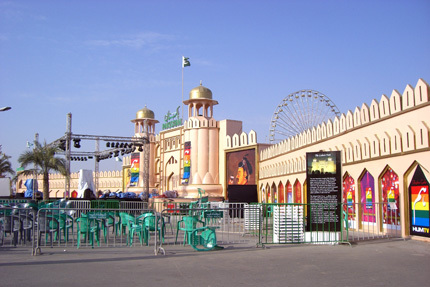 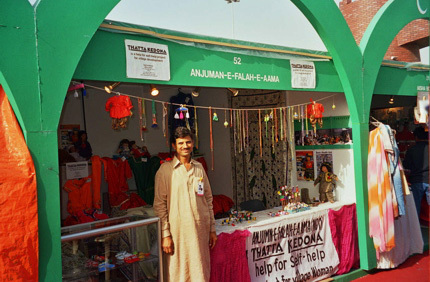 The stand in the Pakistan Pavillion through the courtesy of the pakistani commercial counsellor however required careful organization, transport, resolution of visa matters and schooling of the the village NGO staff as well as locating cheap accomodation in Dubai. 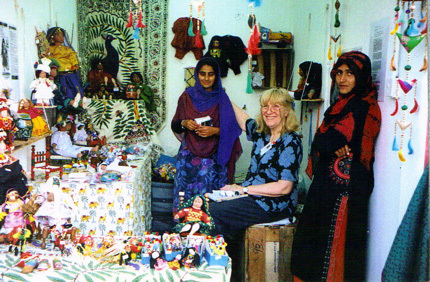 Two young women as well young men from the village NGO have participated in the festival uptill now. 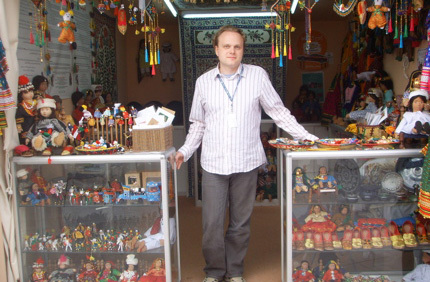 A german volunteer was also found as a temporary arrangement to bridge the staff requirement at the stand. 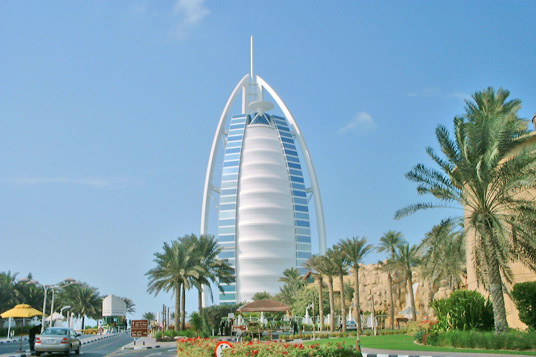 Additionally, we also succeeded in winning a permanent customer for the products at this temporary forum so that it became possible to sell the products over the whole year. 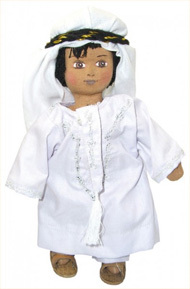 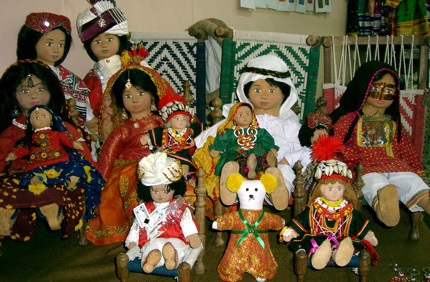 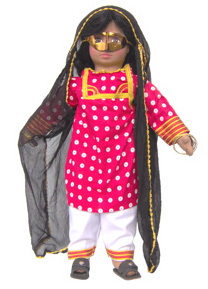 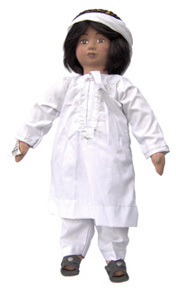 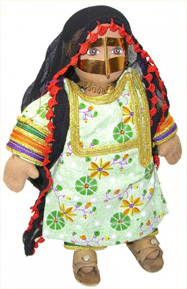 An arabic pair of dolls was specially developed by the pakistani NGO for the arabian market, which can be purchased on the spot as well as orders cab also be placed. 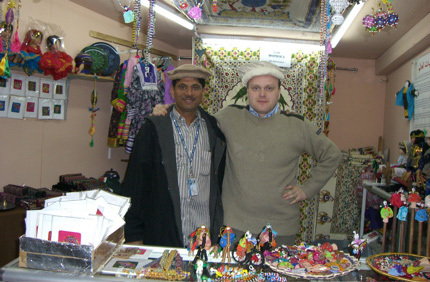 Local volunteers are also helpful in the order processing and they have also participated in village project in Pakistan.